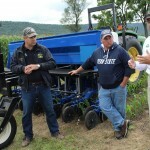 UNIVERSITY PARK, Pa. — At least two of the major challenges farmers face when they consider cover crops could be resolved, thanks to a new planter designed by faculty at Penn State University. 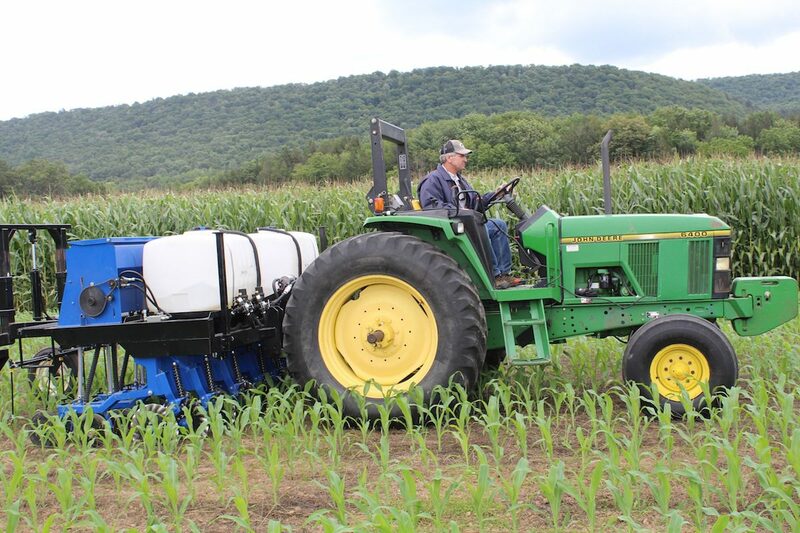 The Penn State Cover Crop Interseeder and Applicator plants cover crops while at the same time applying fertilizer or herbicide. 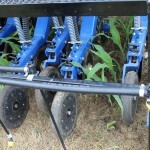 This allows farmers the chance to seed cover crops into corn long before the corn is harvested. 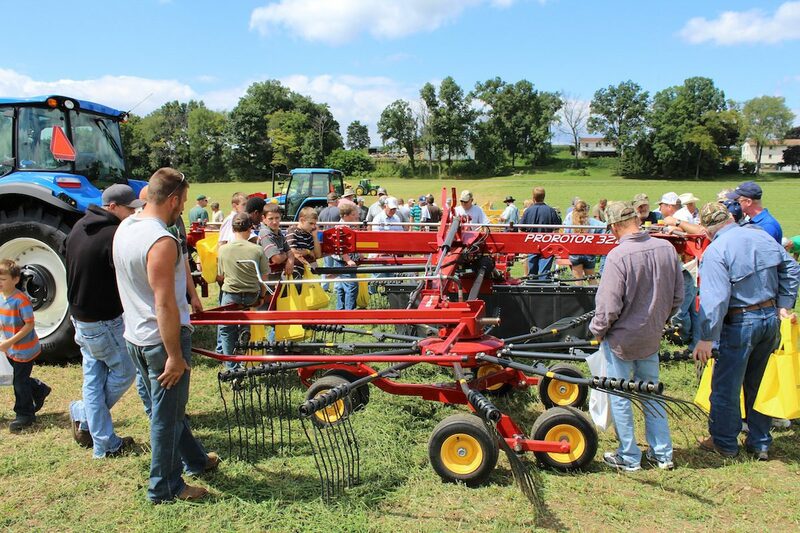 The applicator was a popular demonstration at the annual Penn State Ag Progress Days, Aug. 13-15 at Rock Springs. 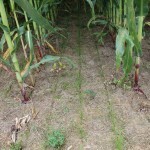 The cover crops are seeded into the ground in narrow rows, between the rows of standing corn. 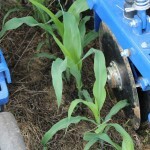 The cover crops grow slowly at first, and begin to grow more vigorously as the corn begins to die down and is harvested. 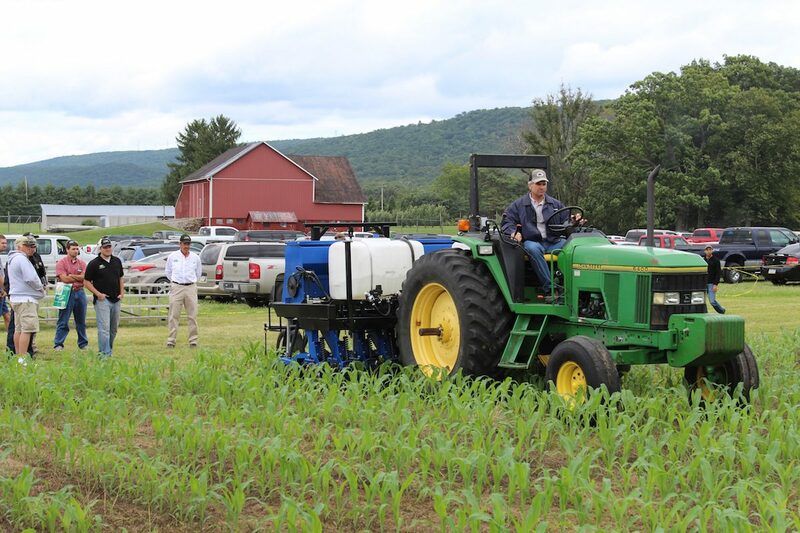 The faculty who developed the seeder said they are testing whether the cover crops might compete with the corn, but so far have found no such case. 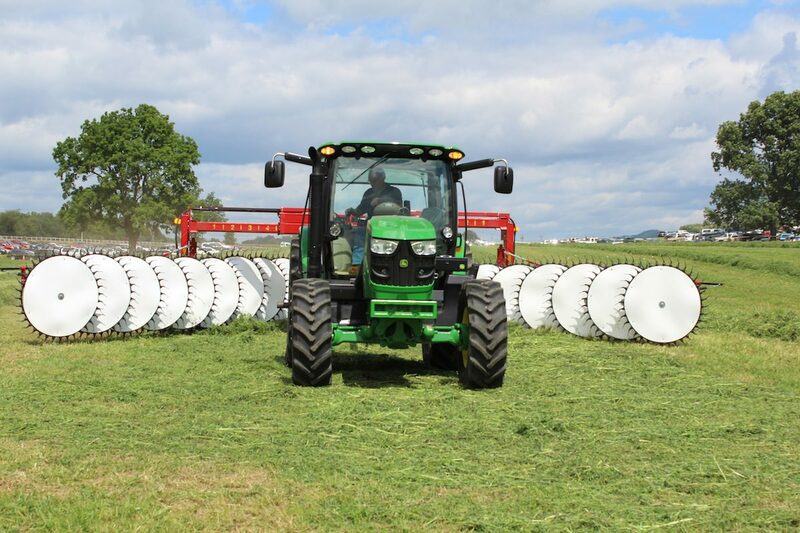 “We have not found any trial over the last three years that have affected corn yields at all and that’s simply due to the size of our cover crop,” said Chris Houser, who handles forage variety testing for Penn State. 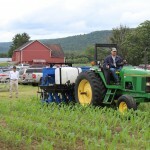 He said the cover crop at first amounts to “just a green haze underneath the corn,” which is exactly what researchers want. 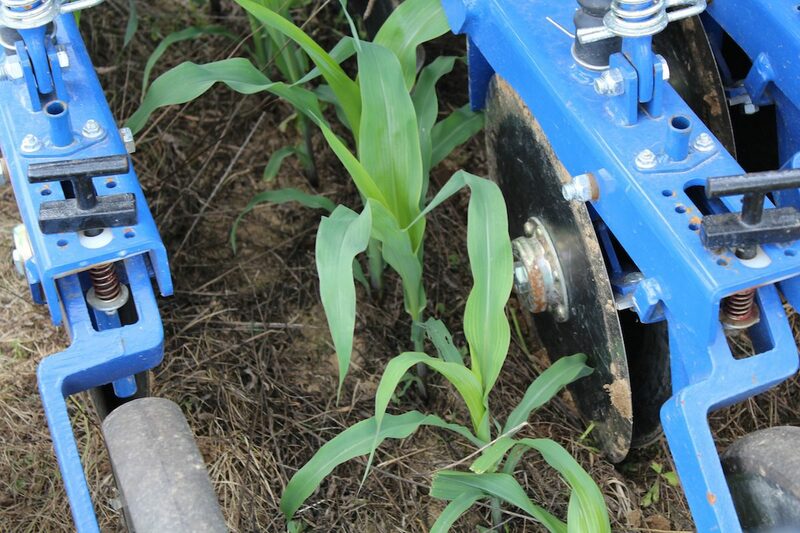 Then, as the corn nears the end of its growth stage, the cover crops take off. 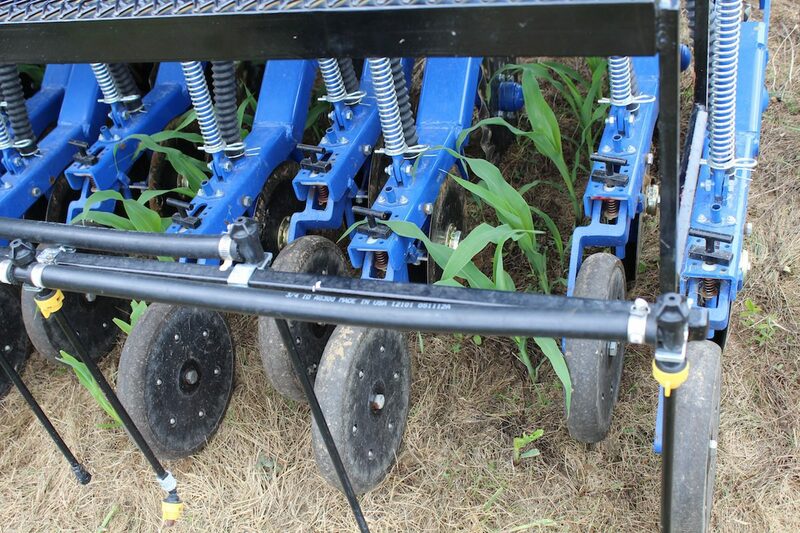 By seeding the cover crops into the ground, the seeds have a much higher success rate than if they were applied by air plane or by broadcast applications. 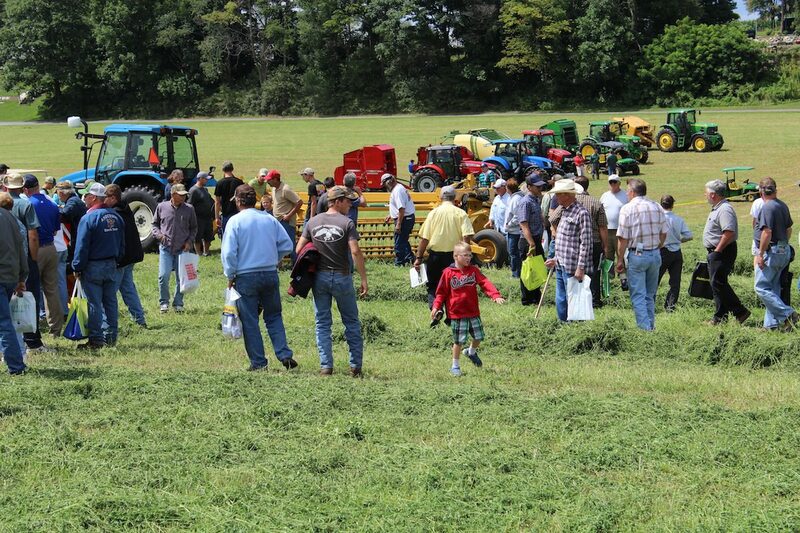 “The key is to find species that will survive in that low-light, low-moisture environment at this time of year,” Houser said. 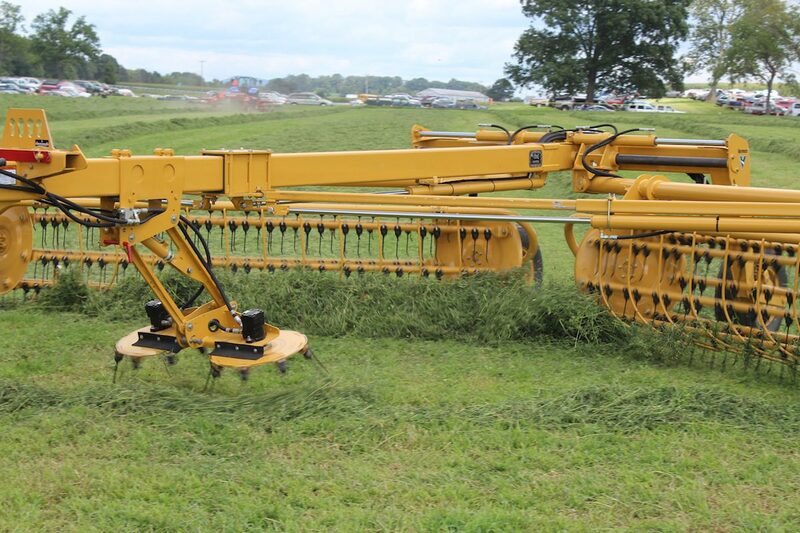 So far, tests show that cereal rye does the best, although other species of cover crops can be used, as well. 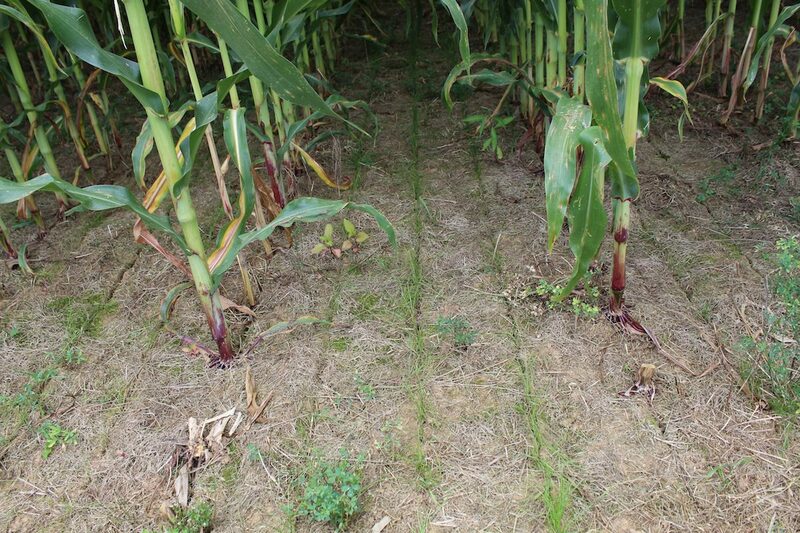 Penn State researchers have documented root growth from these cover crops at an impressive four feet deep. 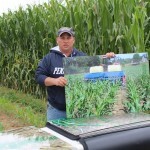 They believe the roots may go even further, but their research was cut short because they struck an irrigation pipe. 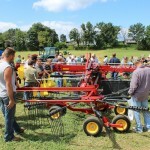 Some had legitimate concerns about not having enough time to plant cover crops, and some worried whether the extra trip across the field was justified. 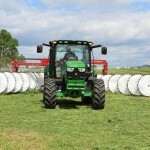 Now that it can all be done at once, there’s really no cost, other than the applicator and the seed. 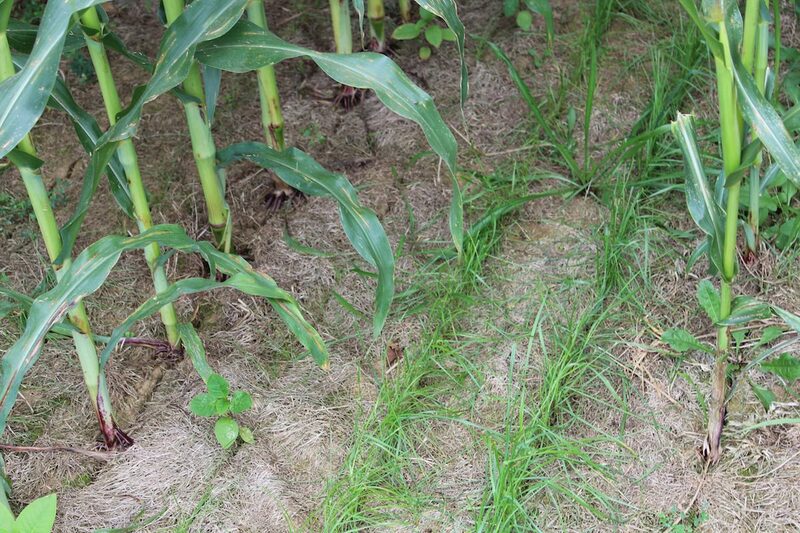 Steve Groff, of Cover Crop Solutions, said farmers might have to look close to see the cover crop growth at first. 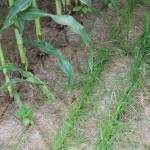 A simple pass in a pickup truck and you may miss the growth. 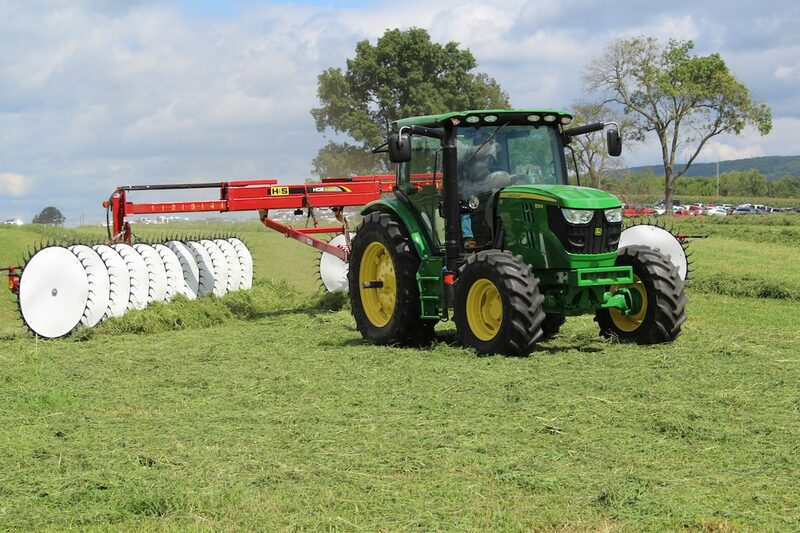 And that’s the whole point. 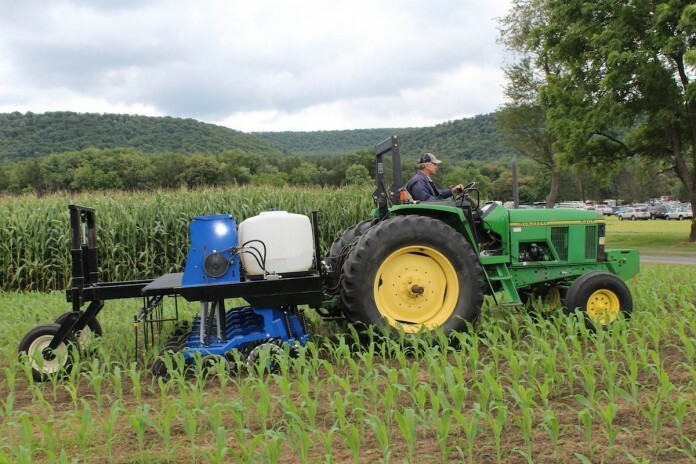 The new applicator could cause an overall increase in acres planted to cover crops in Pennsylvania, reducing erosion, enhancing soil carbon, reducing drought stress, suppressing weeds, minimizing nutrient runoff and providing supplemental forage. 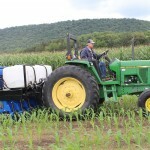 In the central and eastern half of Pennsylvania, cover crops play a significant role in reducing nutrient runoff, and can help hold mitigate nutrients that might otherwise enter the Chesapeake Bay watershed. 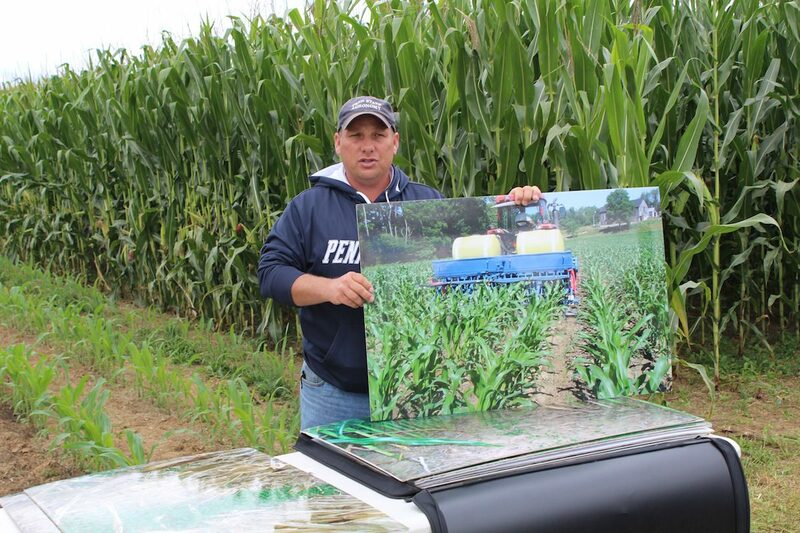 Penn State staff hold the patent to the technology and are working on developing it for the commercial market. 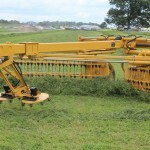 Houser said he believes it can be used on any scale that a farmer needs. 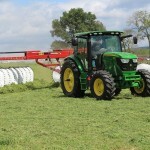 They hope to see the applicator on the market as soon as possible, possibly by fall. 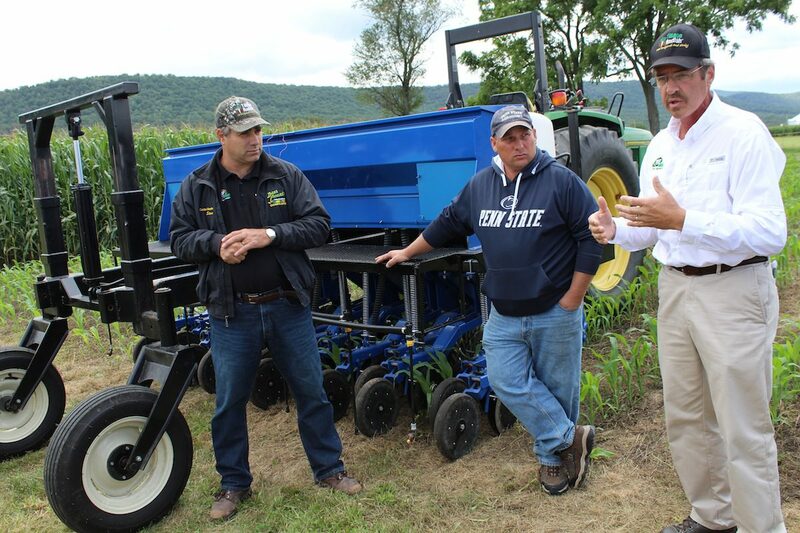 Other Penn State staff who helped develop the applicator include Greg W. Roth, William S. Curran, Corey Dillon, Christian Houser and W.S Harkcom, all from the Department of Crop and Soil Sciences. 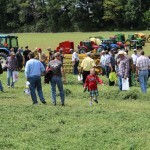 Previous articleGet ready: It is perch season!